Still haven't played the first game! I seem to remember it was one of the GamesWithGold Free offerings at some point (could be wrong) - It was a bit underrated on release, but I thought it wasn't too bad. Not open world, but visually it was really at the top-end for a Xbox 360 game. The story was okay, but got kinda weird at the end, felt more like a Doom styled ending. I'd say it's worth a spin...and hey, it's got John Goodman in it...can't go wrong there! 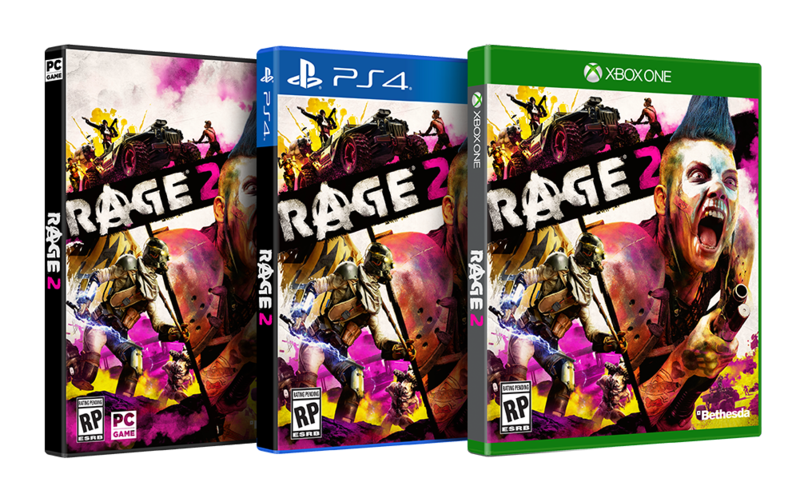 Introducing the RAGE 2 Collector’s Edition! This special Collector's Edition of the game includes the mountable head of Ruckus the Crusher. Voiced by singer-songwriter Andrew W.K., this lovable half-dead mutant from the game will live on your wall or desk, singing songs and telling tales of his life on the wasteland – you know, before his head was cut off. 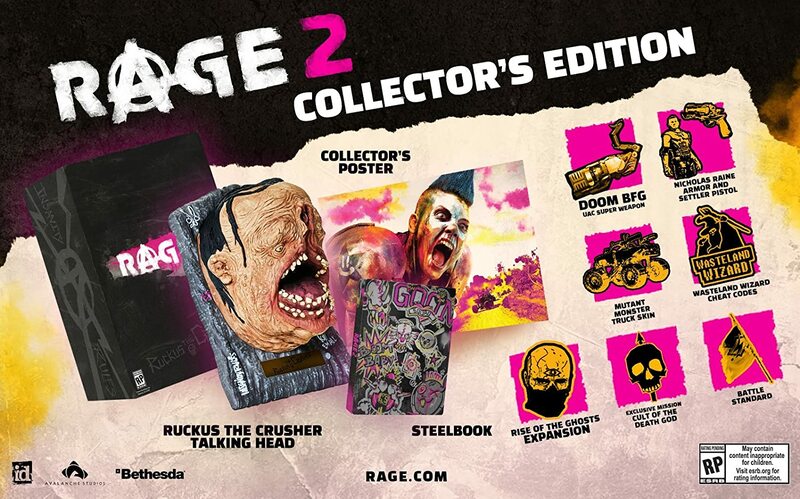 The Collector’s Edition also comes with RAGE 2, a steelbook case, a collector’s poster, an exclusive mission, and Wasteland Wizard cheat codes (we’ll be sharing more about those later). You’ll also have access to deluxe edition content, including in-game items like a monster truck, an armor set, and the BFG – yes, THAT BFG. RAGE 2 arrives in Spring 2019.